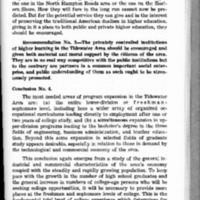 "The cover page of a 1962 prospectus describing the Sawyer tract on Holland Road and the Wood farm on Centreville Turnpike, each contributing two hundred acres which could be offered without cost to the college" (Mansfield, 16). 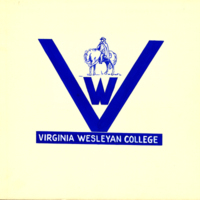 A second logo proposal for Virginia Wesleyan College. 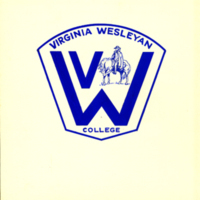 One of two drawings of a proposed Virginia Wesleyan College logo. 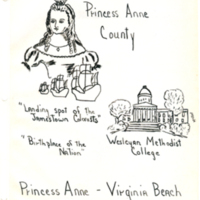 A second drawing of proposed Virginia Wesleyan College letterhead. 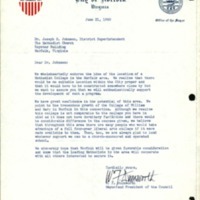 Mayor and President of the Council W. F. Duckworth's letter endorsing the idea of the Norfolk location for the proposed Methodist college. 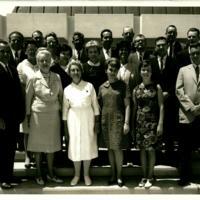 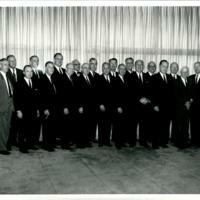 Black and white photograph of Virginia Wesleyan College's first full-time faculty and staff. 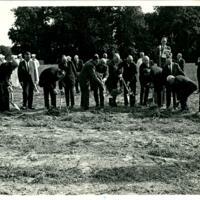 A black and white photograph of Virginia Wesleyan College's groundbreaking ceremony. 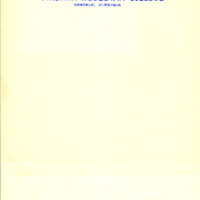 Five Southeastern Virginia City mayors acted as shovel handlers and were each accompanied by a member of the board of trustees. 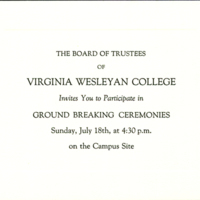 An invitation from the Board of Trustees to attend the Virginia Wesleyan College groundbreaking ceremonies. 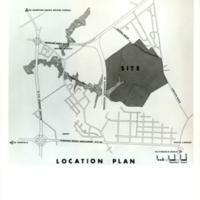 A black and white photograph of the location plan for the proposed college site that would become Virginia Wesleyan College. 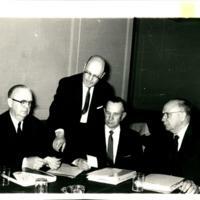 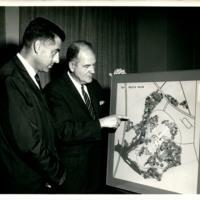 A black and white photograph of C and P Telephone Company manager Bailey Condrey (left) and the first dean of the college, Dr. Robert C. Provine, looking at a site plan for the new college. 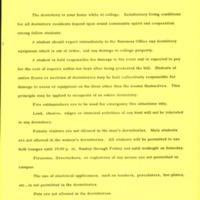 A three page document outlining student responsibilities and acceptable and unacceptable conduct while living on campus at Virginia Wesleyan College. 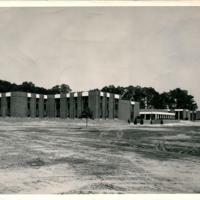 Black and white photograph of the newly constructed Academic Village 1 building at Virginia Wesleyan College. 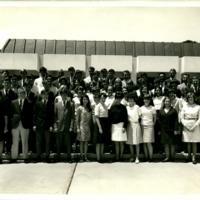 A black and white photograph of Virginia Wesleyan College's first student body. 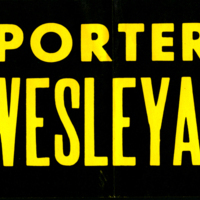 In striking yellow, all-cap letters with a black background, the Virginia Wesleyan College bumper sticker promotes its supporters. 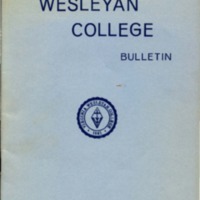 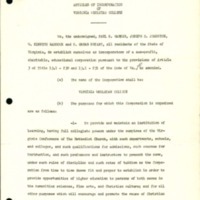 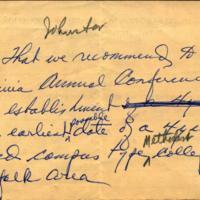 The legal document establishing the Virginia Wesleyan College corporation.